I am a Holistic Nutrition Practitioner. 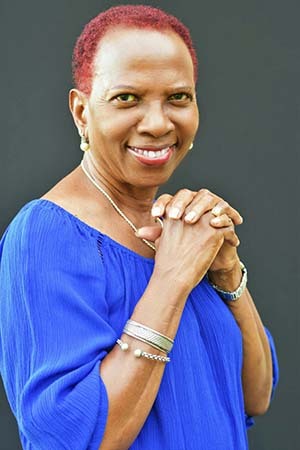 My passion in natural health began over thirty years ago while working as a Registered Nurse Midwife on one of the Bahamian Islands. There I observed the lifestyle of the seniors. They were quite active, utilized locally grown foods and seafood. They experienced fewer chronic diseases compared to the more sedentary younger adults who accessed more allopathic care. My own lifestyle improved as a result of those observations. I began my research journey on healthy lifestyle practices with a focus on nutrition. This later led to the pursuit of a PhD in Holistic Nutrition in Clayton School of Natural Health, while still working as a Public Health Nurse/Health Educator. I am now a practitioner, accredited by the American Association of Drugless Practitioners. At one phase during my nutrition studies, I experienced some health challenging both physically and emotionally which were further complicated when I was diagnosed with hormonal imbalance issues, specifically uterine fibroids. Surgery was not an option, so I chose the non-surgical path to resolve my hormonal issues. Much to my doctor’s disapproval, I went through my own healing journey for about six months making holistic lifestyle changes: Diet, redesigning my way of living, supportive therapy and shifting mindset. The outcome was positive: Non-invasive therapy, no time away from my family as a recent single parent, enhanced lifestyle, and a huge financial saving. I was now more determined to continue on the alternative path. Since my healing, and with additional training, I have been passionate about helping other women to remove the obstacles along their journey to a healthier lifestyle through balanced hormones, reduced stress, improved lifestyle, diet, sleep, and a more fulfilled love life. I continued to expand my educational skills to better serve my clients. However, as part of my certification requirements for two of my courses, Metabolic Typing and Functional Diagnostic Nutrition (FDN), I had to take on the client’s role. Lab works revealed food intolerance, digestive issues, hormonal imbalances along with adrenal fatigue. Those findings resonated strongly with my feelings then. Through Metabolic Typing, I discovered what foods and food ratios were ideal for my metabolism. I learnt how to combine the right foods and nutrients that enable my body to function optimally while I worked on repairing and rebuilding my health utilizing the programs’ protocols with the support of my program’s mentors. Health is always a work in progress for most people, including me. My professional background includes over four decades of experience in various health fields as a health professional fulfilling various roles. My education has equipped me with extensive knowledge in holistic and preventive health. Drawing on my skills, I conduct personalized health assessments, functional lab tests plus metabolic typing for clients. I create “personalized” diet plans, implement natural therapies and support lifestyle changes that address the “whole body” to produce real and lasting results. I also offer general wellness lifestyle consulting, if you are only interested in learning about nutritional lifestyle tips to optimize your wellness. 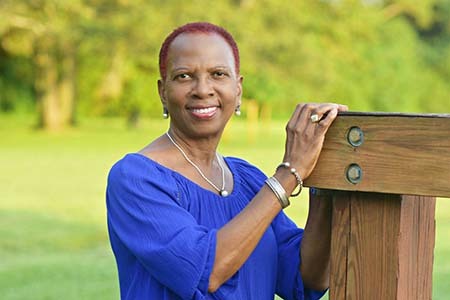 Hear a recent interview of Dr. Ann Rolle when she appears as a guest speaker on HealthNews, a popular Internet radio show which airs weekly out of the United States. Click the photo link to the left to hear the interview! You’ll be notified each time Dr. Rolle publishes an informative new video for improved lifestyle and health!